Kick-off the Next Greatest Show on Grass with the face of American polo, USPA Cover model and polo personality – Ashley Busch as she headlines The Bentley Scottsdale Polo Championships’ Evans Furs and Leathers Polo Preview Party on Thursday, October 5th, at Dominick’s Steakhouse. The party will be held in the rooftop dining room at Dominick’s Steakhouse, 15169 North Scottsdale Road, Scottsdale, AZ 85254, from 5:30pm to 7:30pm. Please RSVP to info@thepoloparty.com to attend. Enjoy an evening of passed appetizers and a no host bar on Dominick’s rooftop while mixing and mingling with Ashley Busch and other players, while learning about the sport of Polo. 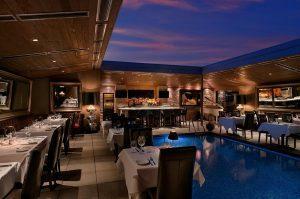 Guests will also be able to enjoy a special performance by a singer from The Phoenix Opera. Busch, a Wilhelmina model, is best known for being a face of the United States Polo Association. She fell in love with polo at the young age of five and has been a fierce competitor ever since. Busch, who competes on a regular basis at Grand Champions Polo Club in Wellington, Fla., won her first tournament as a newlywed this past season at Grand Champions. She and race car driver Kurt Busch, a 27-time winner in NASCAR’s Sprint Cup Series and Daytona 500 champion, were wed on Jan. 7, 2017, at the Eden Roc Hotel in St. Bart’s. A week later the couple held their reception at The Breakers in Palm Beach. They are each other’s biggest fans. Kurt Busch follows her on ChukkerTV and tweets videos of her Grand Champions games on Twitter. After a break from polo, Busch was named Most Valuable Player after her team Altair Polo won the May 2015 8-Goal Spring Challenge Tournament at Grand Champions Polo Club. She scored four goals and was one of the most dominant players on the field. In April 2017, her team won the Grand Champions Cup for her second spring tournament victory in three years. It was her first win as a newlywed. She frequently plays at Grand Champions with Marc and Melissa Ganzi and some of the world’s top players. On November 11th, 2017, Busch will be representing the Aspen Valley Polo Club when the undefeated champions, led by team owner Melissa Ganzi, takes on the Monte-Carlo Polo Club. Her husband will be on hand for that weekends’ NASCAR races at Phoenix International Raceway, and will be doing one of the event’s “First Drops” at Polo on Saturday. As part of the evening, fans will also be treated to an intimate performance from the Phoenix Opera. Then settle in for a preview of The Seventh Annual Bentley Scottsdale Polo Championships, The World’s Greatest Polo Party returns with even more horsepower and entertainment on Saturday, November 11th and Sunday November 12th at WestWorld of Scottsdale. In 2017 Polo Party favorites are returning to the event, including The Canine Couture Dog Fashion Show by Oh My Dog! 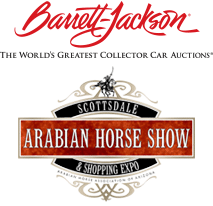 Hotel Boutique & Spa, The World’s “Longest” Catwalk Fashion Show by Phoenix Fashion Week, and previews of the 2018 Barrett-Jackson Collector Car Auction and 2018 Scottsdale Arabian Horse Show! Check out the new elements including a new field-side Sandbar tent with sand, plus Fried and Fizzy – a fried chicken and champagne lounge, a new VIP tented experience called Prime: A Luxury tent experience presented by Steak 44, Neiman Marcus, and Barrett Jackson, and don’t forget the Scottsdale Maserati Brunch on Sunday! Tickets, tables, and sponsorships are available right now at the www.thepoloparty.com or by calling 480-423-1414. Don’t wait until it’s too late to join the Polo Preview Party. RSVP by Thursday, September 28th to info@ThePoloParty.com. The McDowell Mountains in Scottsdale, Arizona create a breathtaking set for the much anticipated 7th Annual Bentley Scottsdale Polo Championships. In 2014, over 11,969 people showed up for what has now become the country’s most attended polo event and the world’s most interesting!